My recent addition of a Hasselblad H4D-50 camera system to my trusty Nikon system may have been a good move photographically see my Hassy review, but as far as my back goes, not so much. 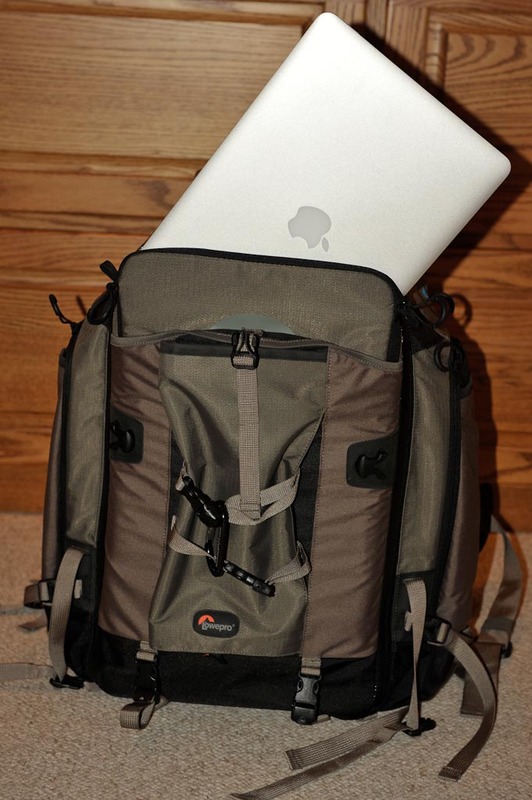 I realized that trying to cart around a full Hassy system, or a few Hassy components in addition to my Nikon equipment, would be a chiropractic nightmare using my existing backpacks, none of which has the profusion of modern high tech design elements. Plus, neither my ThinkTank Rotation 360, nor any of my other LowePro packs were roomy enough to squeeze in all my field gear, which I suspect engage in illicit acts at night when my supply closet is closed and hence multiply logarithmically. At a recent PhotoPlus convention in the Big Apple, I came across the LowePro Trekker AW 400. Truthfully, I had already narrowed my search to it and two other packs, all three of which I got a chance to examine on the convention floor. But with the AW400, it was love at first sight. And, once I tried it on and felt its glove-tight custom fit, I was sold. When it was delivered to my home, I immediately tried it on and spent the next 30 minutes fine-tuning it to my body. Believe me, there are tons of adjustments available on the pack so that a tweak here and there enhance the comfort level enormously. 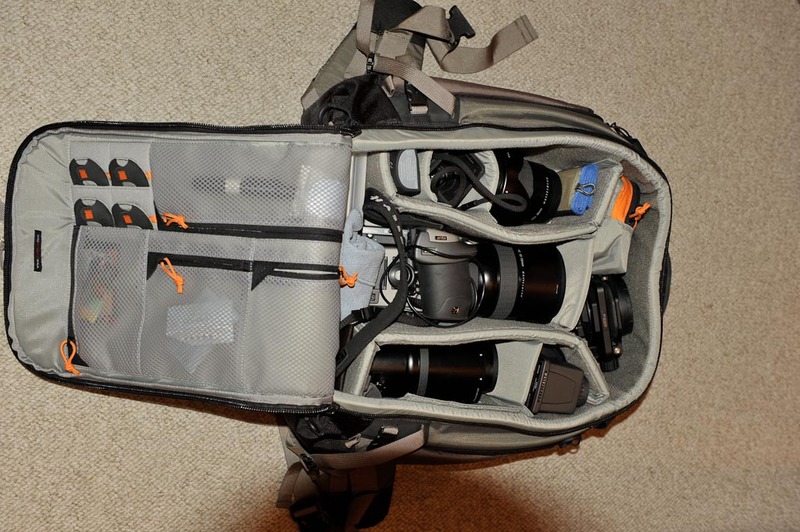 One nifty feature that I have never seen on a photo backpack before is an adjustment allowing you to raise the pack up or down while keeping the suspension system in place. That adjustment made a world of difference to me during my one-week trip to Zion National Park. I was blown away by how much I could squeeze into the AW400. It has big pockets, little pockets, front pockets and side pockets, even pockets inside pockets. The exterior shell is water resistant, which I can readily attest to after hiking in a constant rain. There is unlimited flexibility in arranging dividers and it easily fits my Nikon 200-400. 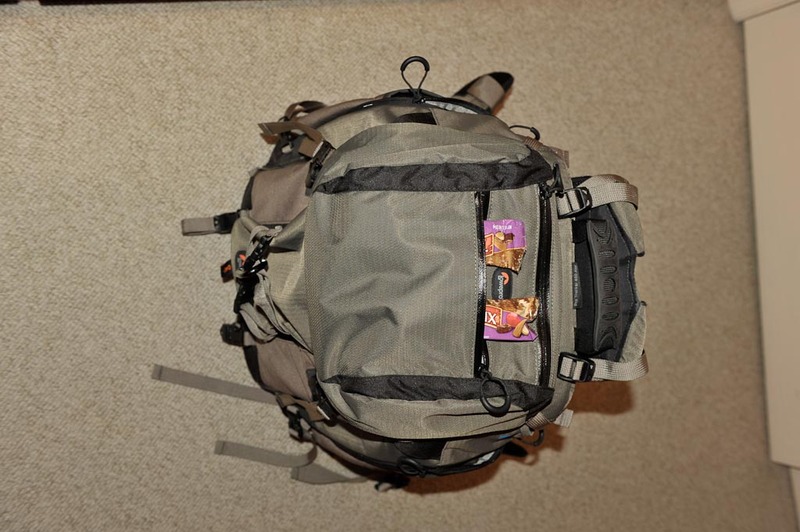 Of course the trick is to not load a pack so much that it makes it impossible to hike long distances with it. That’s especially true for my 60-year old body. But, while the AW400 is indeed a large pack, it is not unwieldy. It slid onto my shoulders easily and with two quick strap adjustments I was off. And the way the AW 400 distributes the weight allowed me to cart an extra 10 pounds with me without feeling it. Another innovative feature that I enjoy is the top section of the bag. It contains two pockets that I use to store snack foods, hat, gloves and other extras. The neat thing is that the entire section is removable and morphs into a fully functional fanny pack for those days when you want to roam around town without all your photo gear. In the field what I do is wear the bag as a fanny pack even when I use the AW400. That way I can get to my extras without taking off the pack. Very convenient! There are also lots of places to which you can attach carabiners or other hardware. I use one shoulder ring to attach my SPOT GPS and the other for my filter holder. Another item I enjoyed was the tiny, but well constructed, organizer bag that comes with the AW400. It’s one more thoughtful nod to the pro or advanced amateur photographer from LowePro. I find it perfect for all my adapter rings and one of my filter holders. Now they’re not clattering all over my bag. The main waist belt on the AW400 includes lots of attachment points for extra pouches, a can of bear spray or to whatever else you might want quick access. I’ve never had a Camelback water system in a backpack before. 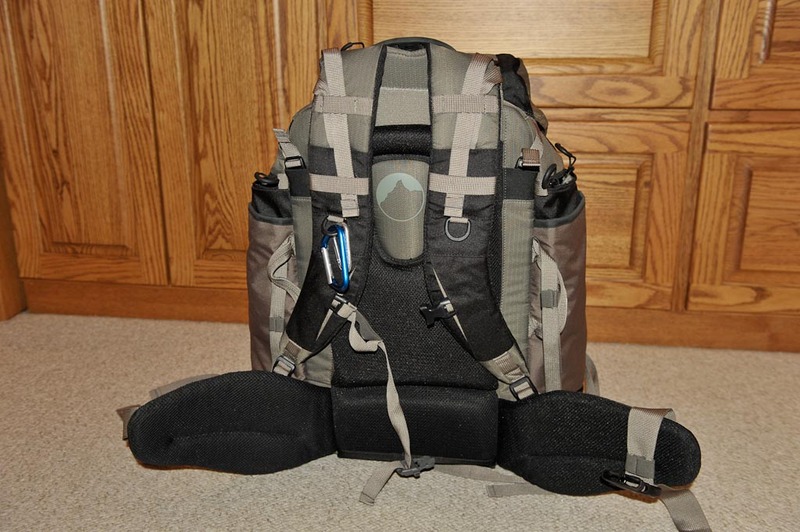 The designers at LowePro include a side pocket that allows one to slip in a Camelback that neatly threads through the pocket and onto one of the shoulder straps. What a pleasure it was to be able to draw water whenever I needed it without having to stop and fish out my water bottle! I’m not sure if it’s me, or the design of photo backpacks in general, but I have never liked the tripod carrying mechanisms they offer, and I’ve owned literally dozens of packs in my career. The tripod carry significantly shifts the center of gravity backwards and pulls the pack away from my body, making the pack feel awkward and heavier. The AW400 is no exception and I quickly shifted to my regular routine of carrying my tripod in my hand or slung over my shoulder with camera mounted. As if all these features weren’t enough, the AW400 includes a laptop sleeve and comes equipped with a thin, padded laptop bag. For me that meant that the AW400 was all I needed for an airplane carry-on. Worked like a charm. 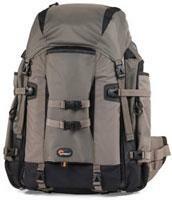 I would award the AW400 4.5 stars based on its plethora of features and its rugged construction (I suspect I would only award a backpack 5 stars if it came with a porter). The Pro Trekker AW series includes a smaller (AW300) and larger (AW600) version.